A checkbook register is a document that records all of the checks, cash payments, and outlays of cash for an accounting period. It basically keeps a record of the cash or the balance that is in a checking account. 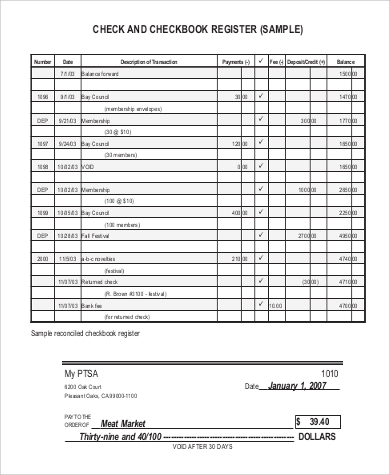 This document helps management keep track of how much money has been spent and the purpose that it was used for. If you are in need of a way to keep track of all the transactions relating to the usage of checks, we have seven Check Register Samples that you can make use of. Just browse through all of our samples we have below. Why Keep a Checkbook Register? 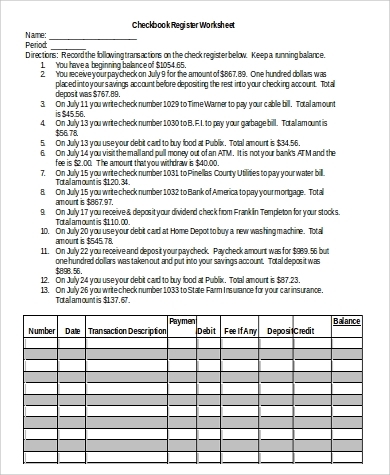 Keeping a record of all your check transactions ensures that you are aware of how much money you have in your checking account. It serves as a backup to the records that your bank has and it keeps you updated on the transactions you made to your account. keep track of the amount of money that comes in and out of your checking account. Check number. This is usually found in the upper right-hand corner of the check. Date. This pertains to the date the check was issued. Description. 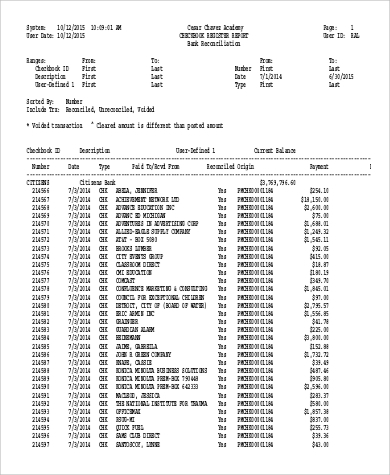 Notes that would describe the event when the check was used. Debit (-). This is for transactions where money is taken from your account like payments, withdrawals, and fees. Credit (+). This is for transactions where money is added to your account like deposits and interests. Balance. The remaining amount of money in your checking account. 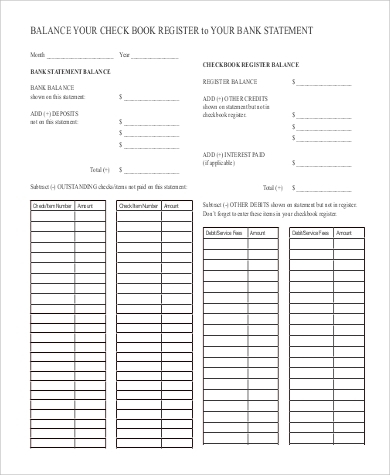 You may also want to check out our Payroll Register Samples. Who Can Use the Free Checkbook Registers? When it comes to managing the finances you have on your checking account, making use of checkbook registers is a simple way to do so. 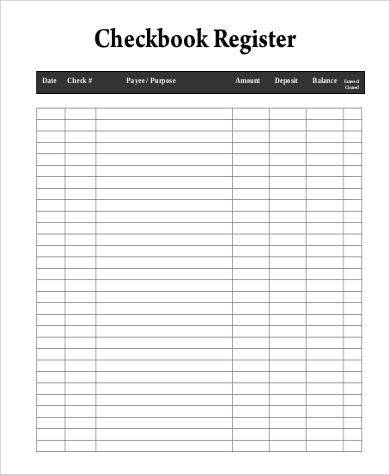 Both individuals and organizations can utilize a checkbook register to keep track of the activities or transactions of their checking accounts. It can help you inspect whether there are any unethical action that may have been performed by the bank, the individual, or if there was an action that was done by either party. Your checkbook registers can serve as an evidence that you can present should problems arise in the future. 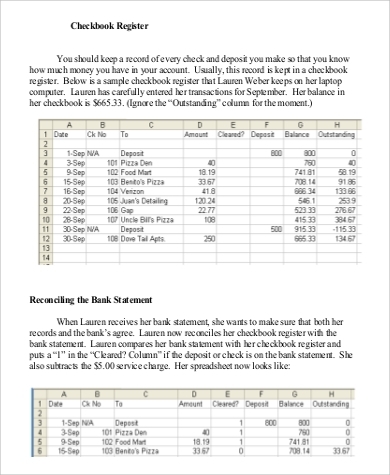 Why Use the Free Checkbook Register Templates? The templates are readily available for download in this article. These templates are all for free, so you need not pay anything to get any of our high-quality templates. 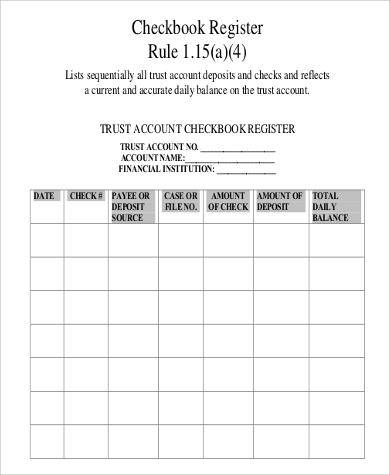 There are seven unique checkbook register templates you can choose from. Each of these come in various designs, outlines, and arrangements. These templates come in PDF (.pdf) and Word Document (.docx) file format, which makes it easy to edit using various office applications and can be easily stored in various devices and gadgets. 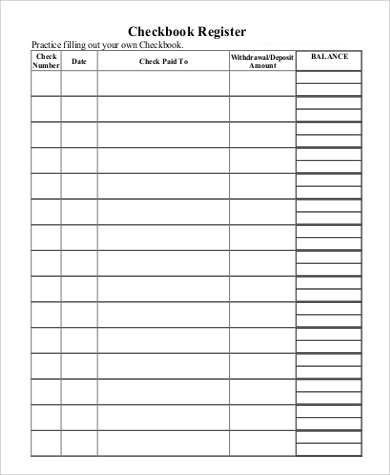 You can also check out other checkbook register templates at Printable Check Register Samples.